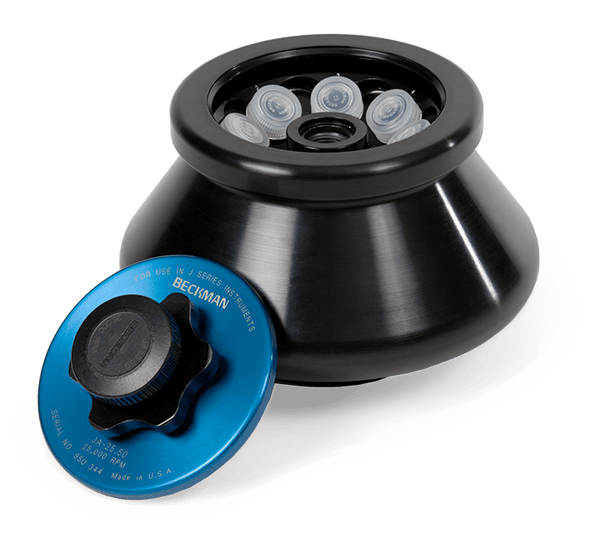 JA-25.50 Fixed-Angle Rotor with Biosafety Lid, Aluminum. Major applications: Harvesting bacteria, processing tissue homogenates, subcellular particulates, routine pelleting such as precipitates and phase separations. For use in Avanti J Series and J2 Series centrifuges.